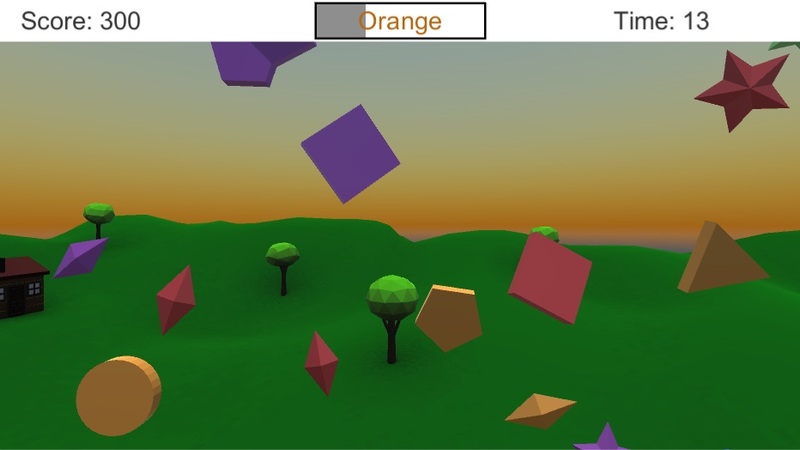 Colour Shapes is a simple colour/shape picking game where you need to click/press a certain type of colour or shape (or coloured shape). You can try different modes and set high scores, or set and play your own custom mode. I have uploaded a version for PC, MAC (which I haven't tested), and Android. It's still in development at this stage but the gameplay is mostly there so I would appreciate any feedback including likes/dislikes, bugs etc. There's more info on the game page. I haven't recorded a gameplay video yet but here's a screenshot. Just made a gameplay video, here it is.